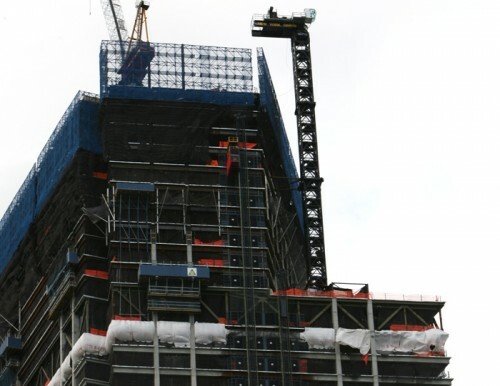 New York Times architecture critic Michael Kimmelman has weighed-in on 1 World Trade, New York's tallest,most superlative, open-but-not-yet-completed skyscraper. And, spoiler, he is no fan. Kimmelman's piece is so chock-full of quotable critiques, it's hard to decide where exactly to begin. But let's start with the politics. "Like the corporate campus and plaza it shares, 1 World Trade speaks volumes about political opportunism, outmoded thinking and upside-down urban priorities," wrote Kimmelman. "It’s what happens when a commercial developer is pretty much handed the keys to the castle." He described the tower's exterior as "opaque, shellacked, monomaniacal" and the overall design as "symmetrical to a fault." The finished product is "an abbreviated obelisk." As for the antenna, well, Kimmelman said counting that as part of the building's total height is like "counting relish at a hot dog eating contest." Ultimately, he finds the building to be a frustrating failure—a bland building that could be anywhere on the globe, an office tower that gives next to nothing to the city it calls home. 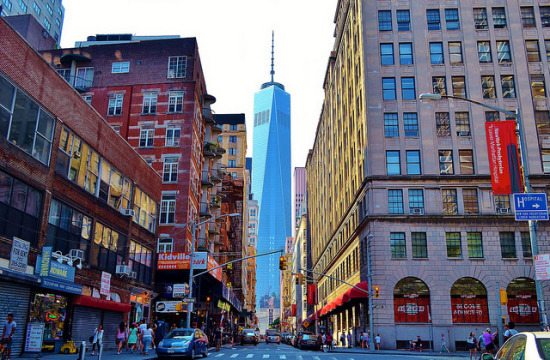 To Kimmelman, the failings of 1 World Trade should be a warning to New Yorkers. "The public had a big stake in making [1 World Trade] great," he wrote. "That stake wasn’t leveraged. 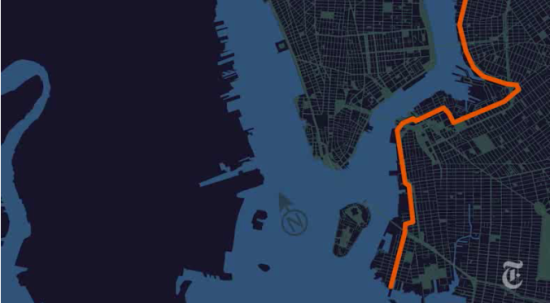 There are other giant projects like Hudson Yards, Penn Station and Roosevelt Island that will reshape the city’s streets and skyline. Their design is everyone’s business." 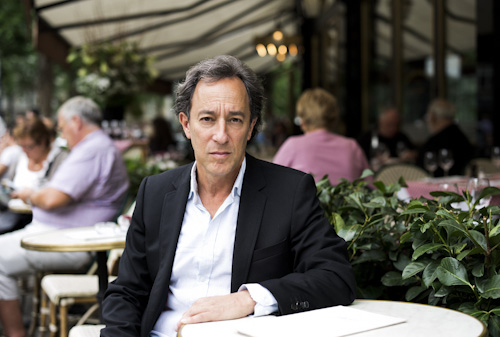 The Municipal Art Society (MAS) has announced that New York Times architecture critic Michael Kimmelman has been awarded the 2014 Brendan Gill Prize. The award will be officially presented by MAS President Vin Cipolla and Board Chair Genie Birch on March 25th. The annual cash prize is named in honor of the late New Yorker theater and architecture critic. "Michael’s insightful candor and continuous scrutiny of New York’s architectural environment is journalism at its finest, and in solid alignment with the high standards of Brendan himself,” MAS President Vin Cipolla said in a statement. The jury was particularly impressed with Kimmelman’s calls to drastically improve Penn Station. 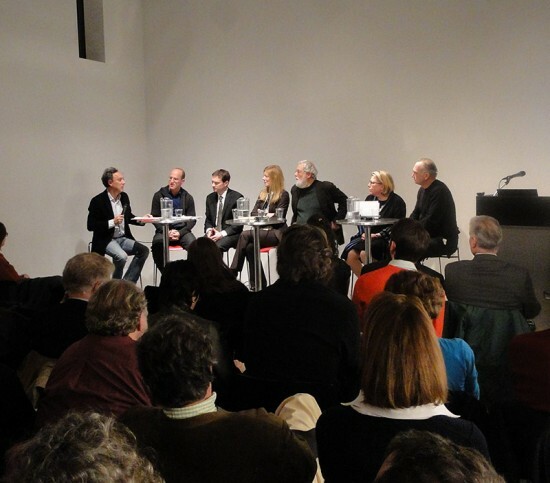 At a panel discussion on architecture journalism held at the Center for Architecture last month, the New York Post's Steve Cuozzo griped that The New York Times architecture critic Michael Kimmelman had yet to weigh in on the 9/11 Memorial. Indeed, even the Times's go-to architecture reporter Robin Pogrebin had to concur. She noted that she too had raised the question. Nevertheless, World Trade Center reporting—let alone criticism—can be a full time job. 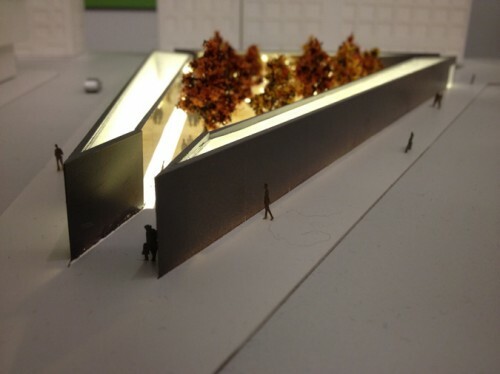 Although Pogrebin continues to report on the cultural venues slated for the site, the architectural aspects of the project have been the province of David Dunlap from the get-go. With the topping of Four World Trade today at 977 feet, Dunlap once again provides a highly detailed report, as he did two weeks ago in his analysis of the grossly altered designs of One World Trade. 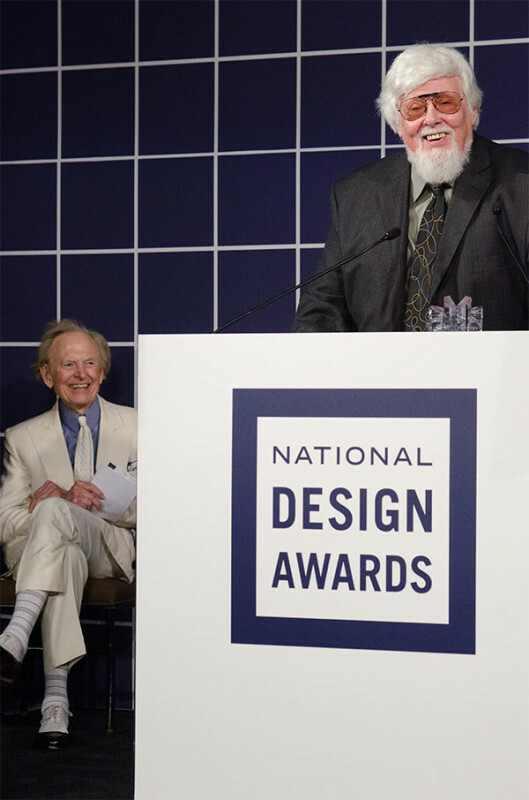 Standing in the shadow of One World Trade, Dunlap notes that architects Fumihiko Maki and Osamu Sassa have no problem with his building being labeled "the biggest skyscraper New Yorkers have never heard of." "Subtlety extends one’s appreciation," Sassa told the Times. Kimmelman, meanwhile, has made a trip to the area, but to review a glass canopy, "in the shadow of One World Trade Center no less." It was a busy archi-spring night last night. 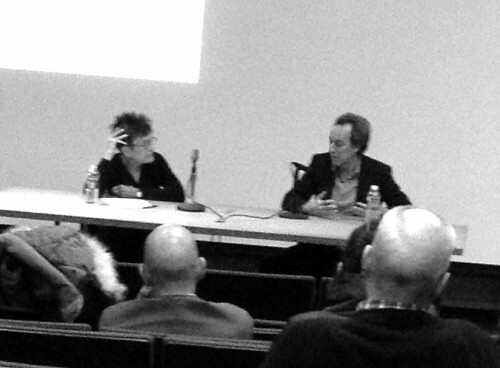 The Municipal Arts Society held their debate on NYU’s 2031 expansion plan, the AIDS Memorial exhibit opened at the Center for Architecture, and Ralph Walker: Architect of the Century opened at the newly re-dubbed Walker Tower on West 18th Street. Read on for highlights of the MAS debate and to view few photos from the Center and Walker Tower... The MAS debate was the most sober event of the evening with a panel packed with academic all stars. The NYU opponents applauding statements they found to their liking lent the debate the air of a souped-up community board meeting. Nevertheless, it was refreshing to hear ideas cleanly teased out by moderator John Alschuler, of HR&A, the real estate/economic advisory firm. The community had an informed voice on stage in CB2 Chair Brad Hoylman. 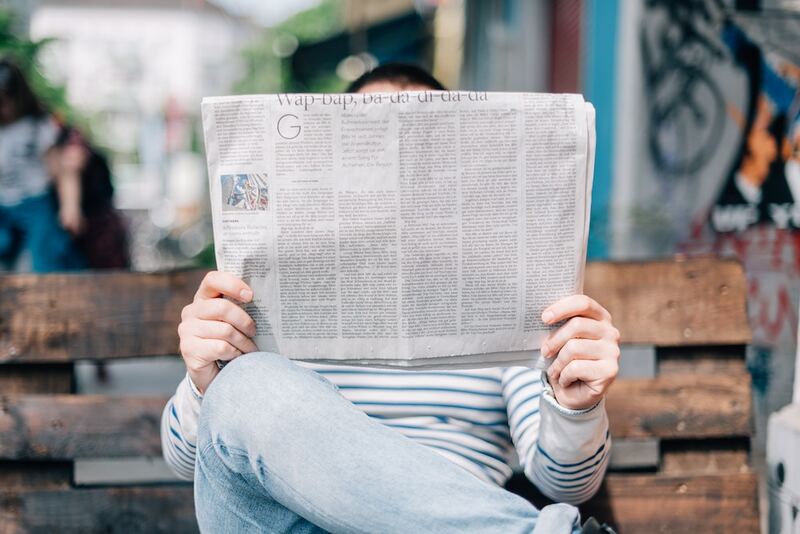 His point of view was largely backed up by Pratt’s Ron Shiffman, while NYU’s Hilary Ballon and Penn’s Gary Hack tipped the balance back in favor of NYU. 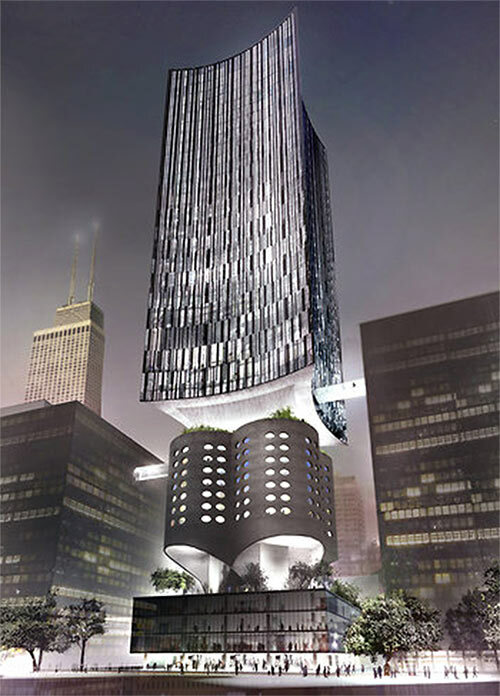 Alschuler got the ball rolling by stating “nobody loves the Coles Gymnasium,” the bland brick bunker on the corner of Houston and Mercer, and that “some level of change is going to come there,” partly in the form of a hotel in the so-called Zipper Building. This immediately spurred Schifman to respond that there is little need for a hotel on the campus as NYC has plenty already. “People can get on the subway, why are we protecting them,” he said of the NYU visitors. “That’s a formula for disaster.” Hack argued that at Penn they began their expansion with a hotel, because that’s what visiting academics need most—a place to stay on campus. While Ballon, who is based at NYU Abu Dhabi, said the university’s international franchises mean they need a hotel more than ever. In the end, the southern super block with its two towers was the source of less tension, as opposed to the proposed Boomerang Buildings on the northern superblock. Schiffman went so far as to say that he likes the Kimmelman plan, which would keep the below grade space but nix the above grade structures. 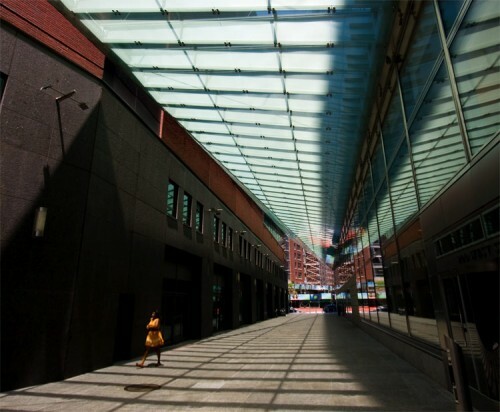 But Hack said the new proposal, including the buildings, would open the superblock up and provide better circulation. He added that the additional space would give students a place to gather instead of meeting at “third place haunts” like Starbucks. Hoylman said the north block proposal would more likely become a student thoroughfare, not a neighborhood square. “This is about NYU solving an identity crisis; they get their quad,” he said. Thinkin' Lincoln. 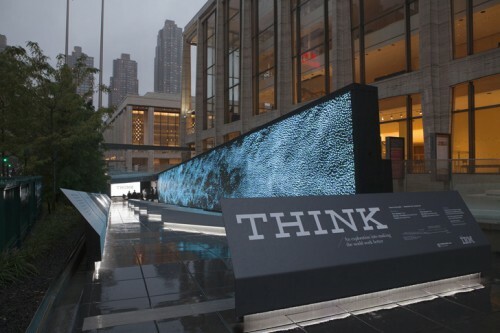 IBM is taking over the Lincoln Center through October 23rd with one of the biggest interactive technology exhibits in the city: IBM Think Exhibit. Highlights include the 123-feet long "data wall" and a forest of 40 seven-foot media panels. More at Inhabitat. Bronx Beauty. The New York Times' new archi-critic, Michael Kimmelman, has penned his first review, shying away from the iconic, gleaming projects of his predecessor, instead beginning with Via Verde affordable housing in the South Bronx, which may help him demonstrate that quality trumps quantity, especially in moral debates of architecture. Biking Sacrifice. Atlantic Cities reported that cyclists in urban environments might want to be wary of cars for more than just accident risks: harmful automobile emissions create a hazard for cyclists as well. According to new research, bikers inhale more than twice the amount of black carbon particles as pedestrians do in the same trip.